The XCX is a ride with real off-road poise and capability, featuring both an improved riding position and new Tiger 800 contemporary style. 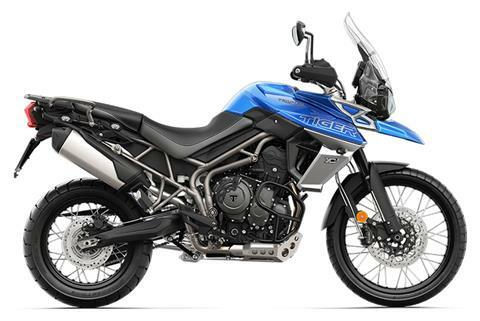 The more responsive, mass-optimized, Triumph 800 Triple engine , 21-inch front wheel, and TFT instrument display, are just three of the many features, innovations and modifications that have been designed into the latest generation of this thrilling off-road adventurer. MORE RESPONSIVE ENGINE: The thrilling new generation, mass-optimized 800cc Triple engine delivers 95PS featuring even more responsiveness, acceleration and character. NEW LIGHTER EXHAUST: The new lighter, free flowing exhaust delivers an even better Triple soundtrack. 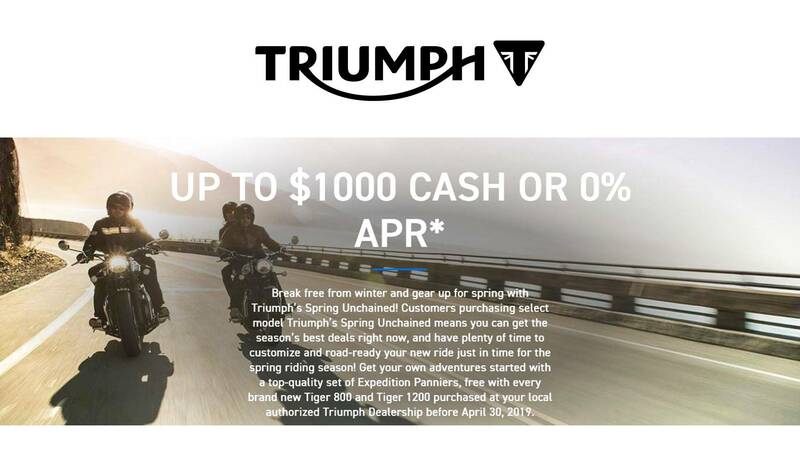 STATE-OF-THE-ART TECHNOLOGY: Packed with rider-focused technology, including Triumph’s signature Daytime Running Light (DRL) system, new full-color TFT Instruments, new ergonomically designed switchcubes and a 5-way joystick, updated cruise control, five riding modes, and heated grips. RIDING MODES: The adventure-ready XCx model is ready to take on any challenge with five riding modes for all types of riding environment; ('Rain', 'Road', ‘Off-Road’, 'Sport', plus the new dedicated 'Off-Road Pro'). WHEELS & TIRES: The XCx features a more off-road focussed set-up inspiring confidence and control with a 21” front wheel and Bridgestone Battlewing tires . For even more capability, there is now a handbook approved Pirelli’s Scorpion rally tyre for both Triumph Tiger 800 XC models. ADJUSTABLE SEAT HEIGHT: The Tiger 800 XCx features an adjustable ‘2 position’ seat mechanism allowing the rider to lower seat height by 20mm from 860mm to 840mm to suit their individual riding style preferred position. ERGONOMIC IMPROVEMENTS: Practical enhancements offer an altogether better ride; including new five-position adjustable screen and aero deflectors, a more comfortable seat compound, and new handlebar position to improve control both off-road and on. Front - Spoked, 21 x 2.5 in.